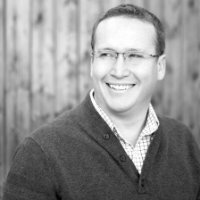 On March 3, IABC/BC welcomes Cam Steed, founder and CEO of Smashed Abacus, to our professional development event, Social Media: Interpreting and Measuring Success. A seasoned social media expert, Cam has used his extensive online experience to provide services in the area of social media monitoring, measurement and analysis in an agency environment. Cam will share with IABC/BC members tips on how to determine social objectives that align with your organization, determine how to influence what you measure, explore key performance indicators, and more. In a podcast with another leading digital marketing expert, Tod Maffin, last March, Cam spoke about how people underestimate the power of social listening. “Social listening is the act of understanding, reading, or interpreting the content generated in social media by anyone but you,” he explained, adding that often organizations turn their energy and focus on their own brand and miss tapping into the vast amount of content being produced by everyone else. Understanding social conversations can help leverage your brand and your messages in more concentrated and dynamic way. Cam has been invited to speak across North America at popular social media conferences and to Fortune 500 companies to share his online savviness with those looking to get a little more out of their corporate social media efforts. He will also be a featured speaker at the BC Communications Forum next week, speaking on how to gain a competitive advantage through social media. Prior to starting Smashed Abacus, Cam worked with Sysomos, a social media monitoring company, where he conceived, launched, and managed their in-house social media reporting service. The service grossed more than $1 million in revenues and was used by clients such as Apple, Google, Disney and Coca-Cola. Prior to Sysomos, he worked as an Account Manager for Publicis and he is a University of Toronto alumna. Register to hear more about Cam’s insights on how to best leverage social media to meet your organizational goals.